THURSDAY, MARCH 30, 2017. Experiencing short service life and production limitations commonly associated with hollow-fiber membranes manufactured using the NIPS method (Non-Solvent Induced Phase Separation), the end user elected to upgrade their system utilizing Scinor membrane technology. As a result, Scinor was selected to install SMT600-P56 direct retrofit membranes to replace membranes supplied by the original equipment supplier. Installation was completed in March 2017. The UF system is designed to reuse treated industrial and municipal wastewater to feed a downstream RO for cooling tower makeup water. 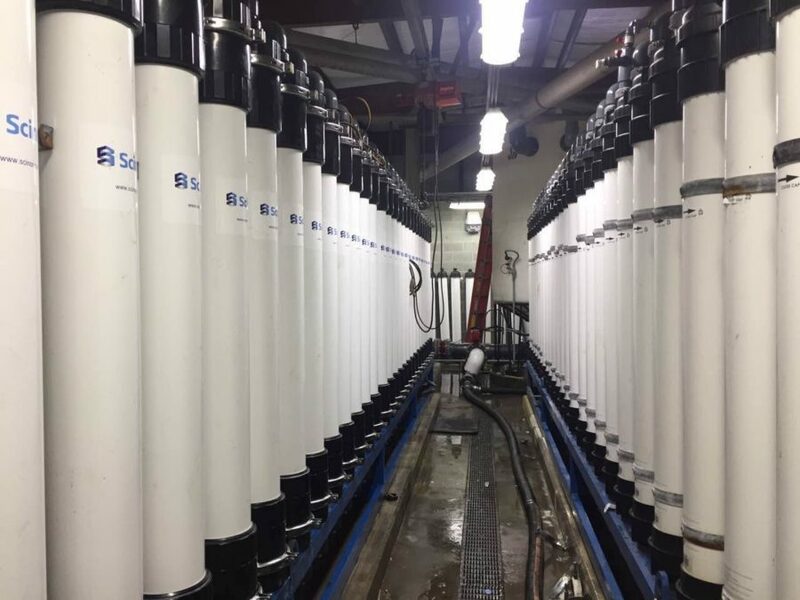 The TIPS UF membranes, which are utilized in Scinor’s entire product portfolio, are expected to provide the end user with greater permeability, strength, fouling resistance and service life. Scinor’s breakthrough direct retrofit technology has provided industrial end users the option to competitively source UF membrane replacements while offering a superior level of performance, enhanced system reliability and increased protection of downstream treatment processes. The direct retrofit of the originally supplied membranes is the first of its kind in North America and is expected to be replicated by other end users experiencing similar operational issues.